Today we want to take a moment to celebrate some unsung heroes of the Chesapeake Bay watershed. Concern for clean water in York County was at high tide when legislators, business leaders, and other guests gathered at the John Wright Restaurant in Wrightsville for a reception sponsored by the Chesapeake Bay Foundation's (CBF) Pennsylvania office. Happy Earth Day! As we have said many times, we believe that every day ought to be Earth Day. Fred Millhiser didn't expect to spend retirement hauling oyster shell. However, for the past four years, the former government employee has done just that. Five Ways to Celebrate Earth Day! This is a picture taken at Point Lookout State Park in St. Mary's County, Maryland. To me, the Bay and its waters are a huge part of why I live here. 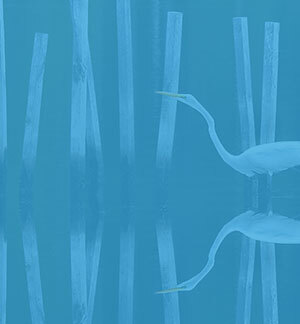 The Great Egret is a large wading bird common to the Bay but residing largely along the Southeastern U.S. coast in winter. Nurturing is undoubtedly an important word in the environmental world. And as much as the Bay needs it, so do people . . . even principals. It's horrifying: During heavy rains, Baltimore's failing sewer system continually overflows, contaminating residents' homes, local waterways, and Baltimore Harbor. Spring has literally sprung over the Northeast! If there's ever a time to witness one of the most spectacular natural wonders, it's during the annual spring migration of snow geese and tundra swans that stopover at Middle Creek Wildlife Management Area in Lancaster, Pennsylvania.